Questions drive game play in smôl tôk. Reflecting on these questions is a "life-giving" process, says creator Nicholas Pang. All photos courtesy of Starknicked. What is your most valued possession? How did you come to have it? What do you miss most from your childhood? These are just some of the questions included in a card game called Smol Tok developed by Nicholas Pang, 37, the founder of Starknicked. 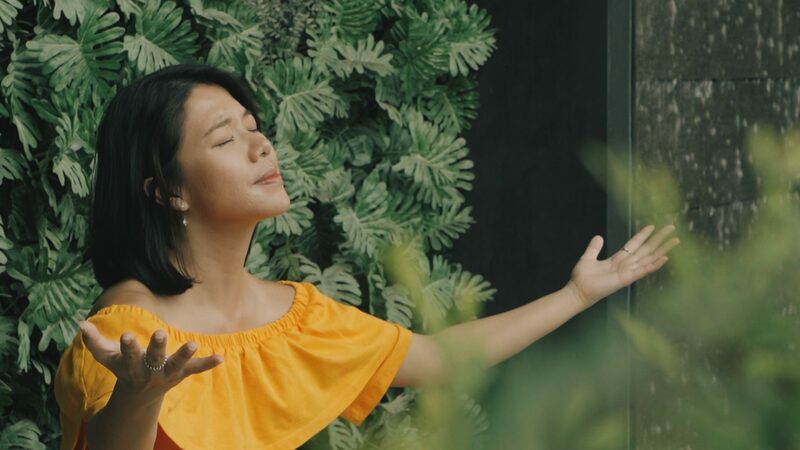 Questions are a powerful tool that can be used to help “unlock” a person’s sense of meaning and purpose, said Pang, taking his cue from how Jesus used questions during His ministry on earth. Skilfully-wielded, each question created the opportunity for dialogue and the revelation of truth. Questions have always been integral to conversations and good questions often lead to meaningful dialogue, which forms the basis of relationships. Literally made up of the words “dia” (through) and “logos” (word), we have come to understand dialogue as merely the back-and-forth salvo of words between two people; but, in essence, dialogue is where – with suspended judgment – opinions are aired, and meaning is found and shared. 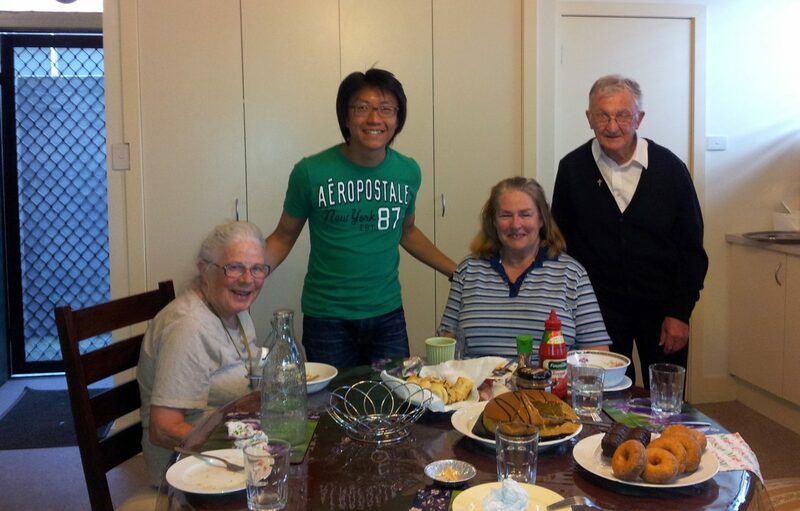 Pang, with his flat-mates in Melbourne, Australia where he was in theological college pursuing his PhD. In his own search for meaning, Pang instinctively understood the role that questions had to play. He has always loved asking questions. But for Pang, there was a long season of being “lost” that preceded his quest for meaning. “I was very unhappy,” he said. At 33, Pang was disillusioned and dissatisfied with how his life had turned out. Raised in a God-fearing home, Pang was set on pursuing his doctorate in theological studies after completing his diploma in communications. He wanted to teach and conduct research on church history in Asia. Appalled and unwilling to continue the self-focused ambition, he dropped his studies in Australia. His dreams dashed, Pang returned to Singapore. But by God’s grace, an opportunity opened for him to work in a parish with a vibrant community – a rarity amongst Catholic churches then. For four years, from 2008 to 2011, Pang enjoyed his work in spiritual formation and communications. Then, as that season of shelter and growth came to an end, Pang moved on to work at a local charity. Soon, however, his discontentment started to surface as his idealism whittled away. Pang explained: “A lot of things we do nowadays put us in roles where we are completely replaceable, almost like commodities. I couldn’t see the end game. Why was I created this way? Why was I here? One key influence in Pang’s life was the book Man’s Search for Meaning by Victor Frankl. Time and circumstances aligned and the book resonated deeply within him. Didn’t God create each of us individually with specific interests, skills and talents? Wasn’t God the Giver of all gifts? Wouldn’t that mean, then, that each person had a unique purpose to fulfil in God’s plan? He started collecting questions: “I couldn’t see the end game. Why was I created this way? Why was I here? But God had a question of His own for Pang. It got him thinking. The answer seemed pretty straightforward: Pang liked games; his training was in graphic design and mass communication; he was currently obsessed with using questions to find meaning and his purpose in life. Why not roll everything into one? Testing out the questions involves at least eight rounds of game play with people from various walks of life. So in 2014, Pang quit his job and threw himself into the idea that was taking shape in his mind: A game of questions. Questions are easy to generate, but good questions take hard work. Play-tests were an integral part of the selection process. Participants from across a variety of worldviews. An extensive feedback process. Thorough language checks. Finally, every question underwent intense scrutiny to weed out judgements and inherent biases. 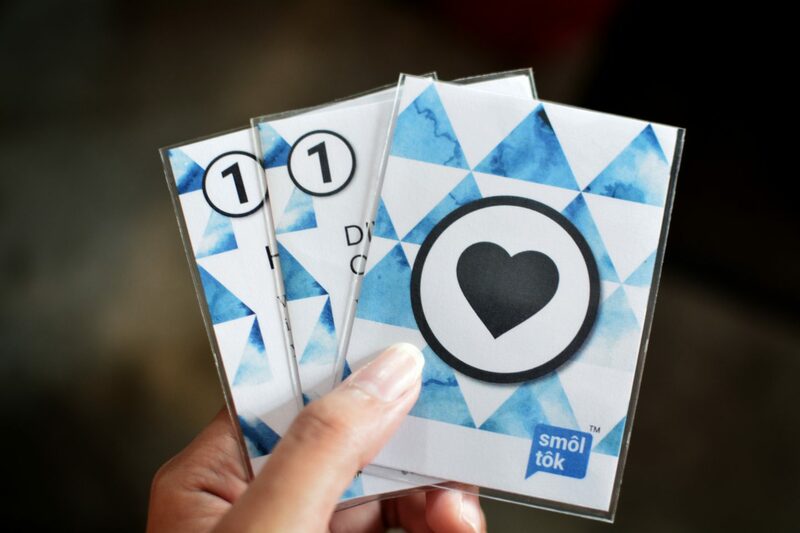 The end product: Smol Tok, a card game consisting of 60 questions covering three areas of life: Personality, community and intimacy. Four years in, expansion has taken place on more than one front. What started out as a leap of faith has become a sustainable business for Pang. 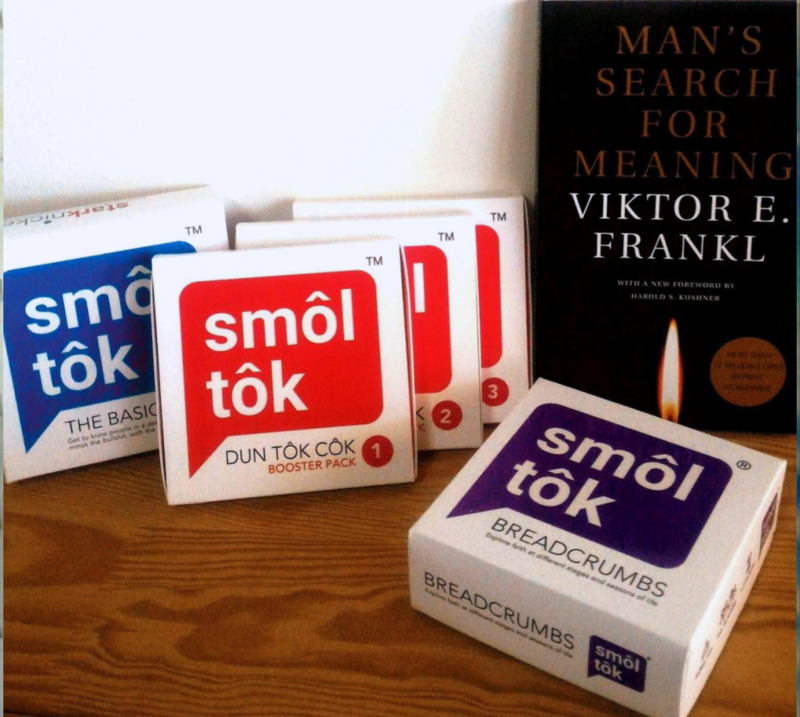 Smol Tok, which uses questions to facilitate both fun and meaningful conversations, now includes booster packs such as Dun Tok Cok, Percolate, Breadcrumbs and Pillow Tok. This is especially true in Pillow Tok, which Shihui created together with Pang after they started dating in 2017. They applied the same rigorous process to the questions, mindful of the non-religious nature of Smol Tok. The couple recognises that good conversations transcend religious views and they care about giving people the opportunity to have “authentic” and “sincere” conversations. It is a thin line between making a stand for their values and using those values as standards for others to measure up to, but Shihui explains their stance as Christians clearly: “We are not evangelising with the deck, but we are making clear our intentions of what we believe to be the best conditions for nurturing relationships. So much of that is left unsaid today. And if it is not communicated, Shihui questioned, how do we even begin to navigate those waters? 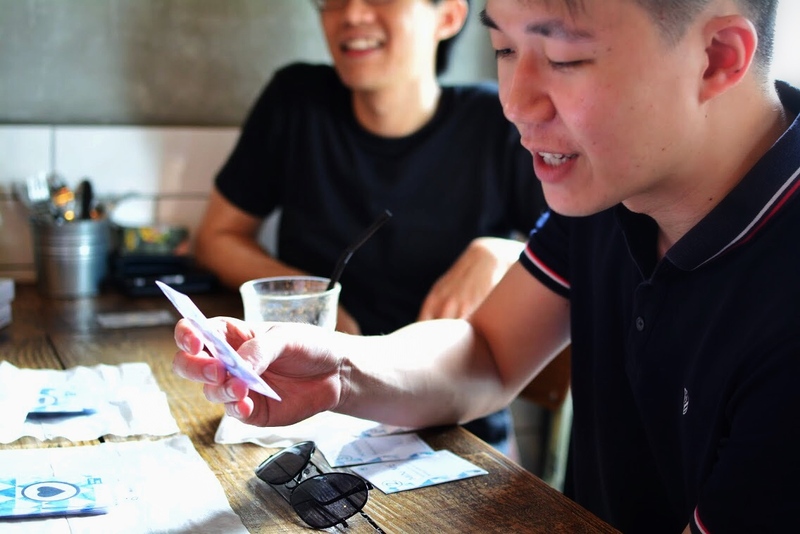 When Nicholas and Shihui met and started dating in 2017, they worked on developing the Pillow Tok expansion pack together. 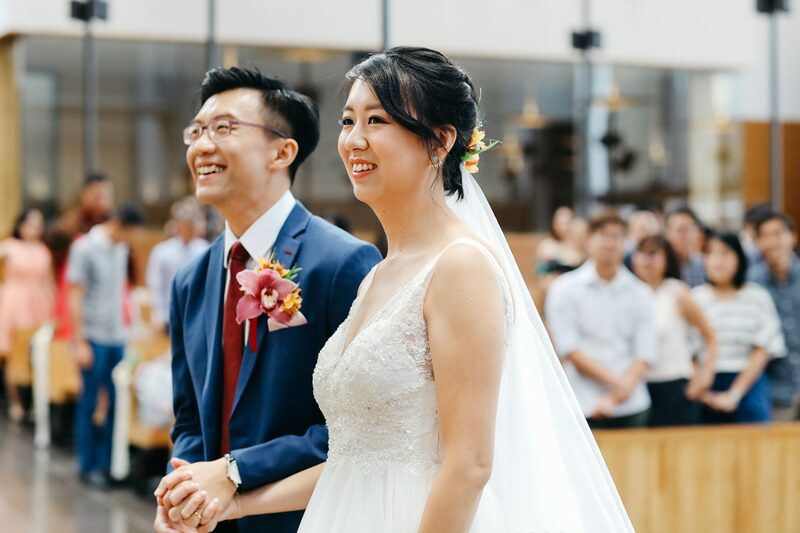 At their wedding in 2018, the couple gave out decks of Pillow Tok cards as wedding favours. “Being able to make games is one end; it cannot be the end in itself,” Pang said. “The game is merely a tool. Ultimately, it’s an instrument to help people find meaning and purpose. The book, Man’s Search for Meaning by Viktor Frankl, was the main trigger for Pang’s faith-driven foray into integrating questions and game-making. Shihui chipped in: “What’s beautiful is that in that space that we help create and invite others into, people share very intimate parts of themselves. And when others speak into those parts, sometimes healing happens. And the best part that has come out of this for Pang? Following in the footsteps of Jesus, apparently. There are two questions he routinely includes in his presentations and gameplay: How many questions did Jesus ask during His time on earth? And how many did He answer? “The numbers will surprise you. If you look at the path I took – I made all these switches in choices, in studies and career, it might seem quite abrupt. No clear, logical path. From academia, into ministry, then a charity and somewhere along the way, I ended up doing my own thing. Christ is for all, but is the Church? Is culture superseding God’s truth in your church?